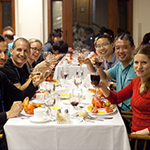 We are pleased to announce the second Cold Spring Harbor winter conference on JAK-STAT Pathways in Health & Disease, which will begin at 7:30 pm on Monday, April 6 and run through lunch on Thursday, April 9. Abstracts are welcomed on all scientific topics related to the JAK-STAT family in health and disease. They should contain only new and unpublished material and must be submitted electronically by the abstract deadline. Selection of material for oral and poster presentation will be made by the organizers and individual session chairs. 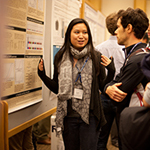 The status (talk/poster) of abstracts will be posted on our web site as soon as decisions have been made. We are eager to have as many young people as possible to attend since they are likely to benefit most from this meeting. 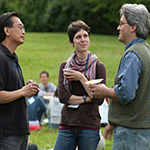 We have applied for funds from industry to partially support graduate students and postdocs. Please apply in writing via email to Catie Carr and state your financial needs; preference will be given to those who submit abstracts. 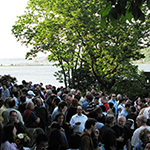 The designated hashtag for this meeting is #cshlSTAT. Note that you must obtain permission from an individual presenter before live-tweeting or discussing his/her talk, poster, or research results on social media. Click the Policies tab above to see our full Confidentiality & Reporting Policy.